"Whatever our worries and challenges may be, we are not alone. You are not forgotten. 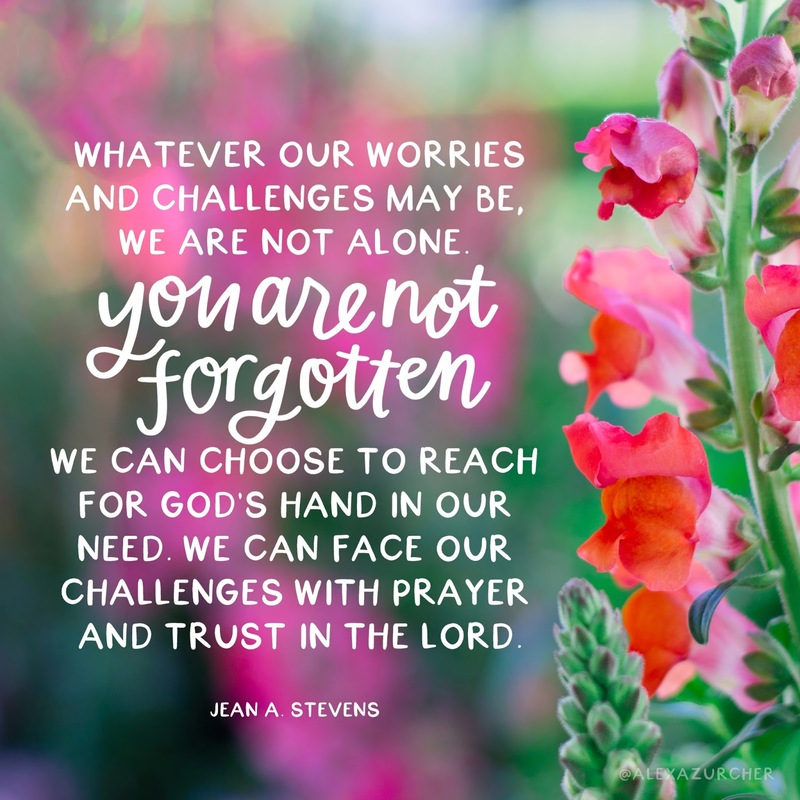 We can choose to reach for God's hand in our need. We can face our challenges with prayer and trust in the Lord."